There is no need to make an extra trip to the pharmacy when seeing a doctor at Saint Francis. The campus has two retail pharmacies that can fill prescriptions in minutes. The Healing Arts Pharmacy is located at Entrance 2 in the Healing Arts Building, and Pharmacy Plus is at Entrance 8 in the Health and Wellness Building. “Pharmacy Plus is especially convenient for members of Fitness Plus gym. They can drop off their prescriptions, work out and pick them up when they are done,” says Sarah Mirgaux, RPh, retail pharmacy manager at Saint Francis. “We offer a small selection of over-the-counter medications, as well, so you can save yourself a trip if you need to treat a headache or cold.” Both pharmacies are retail pharmacies that are open to the general public. When patients see doctors at Saint Francis Medical Practices, their doctors can electronically send their prescriptions to one of the pharmacies, where a pharmacist will begin filling it right away. “We normally receive it before you get on the elevator and will be working on it when you walk into the pharmacy,” says Mirgaux. At Saint Francis, customers can be sure they will receive personalized attention. 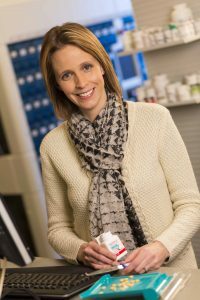 While pharmacists at larger facilities field a constant stream of prescriptions and have little time to talk, pharmacists at Saint Francis know each of their customers and make sure they have all the information they need about their prescriptions. 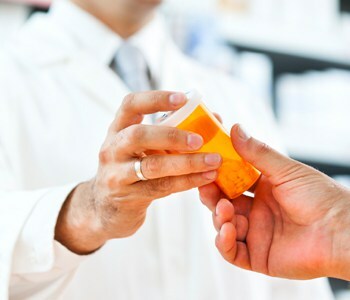 Additionally, they can take the time to make sure customers’ prescriptions have no adverse interactions with each other and there is no duplication of therapies. Because the doctors are situated in the same building, Saint Francis’ pharmacists have a personal relationship with doctors at the Medical Center, which makes it easier for them to communicate when they have questions about prescriptions. Saint Francis’ pharmacies accept most commercial insurance plans, as well as Medicare Part D and both Missouri and Illinois Medicaid. Prices for medications are comparable to pharmacies such as CVS, Target, Sam’s Club, Wal-mart and Walgreens.